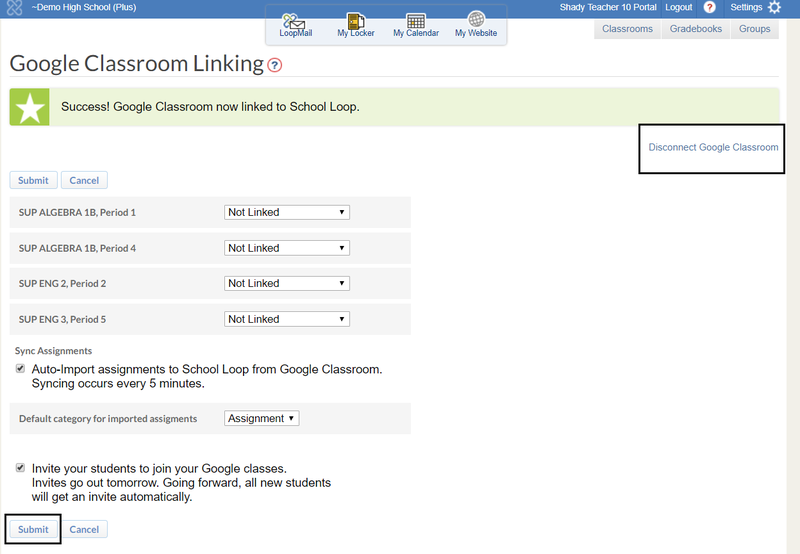 While the current integration allows teachers to connect their Google Classroom account to their School Loop account and publish assignments created in School Loop to Google Classroom, the process was admittedly blundering. With the new integration, these tasks are virtually seamless. The following guide provides the steps on how to disconnect from Google Classroom if it is no longer needed. 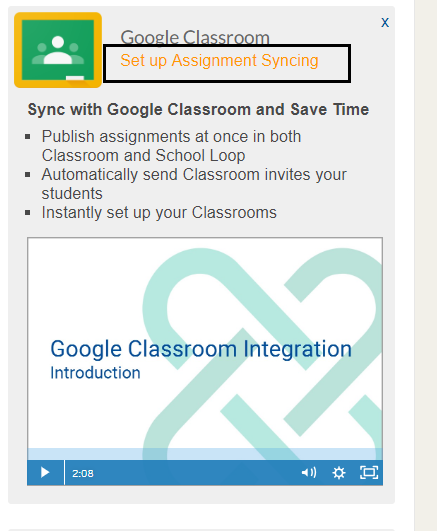 Go to Google Classroom settings by clicking on 'Setup Assignment Syncing'. Click the "Disconnect Google Classroom" link near the top right of the page. Note: You can reconnect later if needed. A 'Success' message is displayed after clicking the 'Submit' button.